Arriving at the airport wasn’t good, sadness was starting to really kick in & we were both trying our hardest not to break down into tears, I just didn’t want her to leave, the fact Kylie didn’t want to go just made it worse. So we bravely got her bags checked in and then went for a coffee, we just sat there holding hands, staring at each other and confirming plans about me joining her in LA, I was going to start looking for flights when I got back to Manchester and she was going to start looking for a place for us to live. Time sped by… and before you knew it, her flight was being called & it was time for her to leave. Then the tears started, words simply became useless & so we just sat there holding & kissing each other in middle of the airport lounge, it was so strange, it was like a couldn’t breath, I felt so helpless, I wanted her to stay so much but there was nothing I could do …as we kissed each other, floods of tears streamed down our faces. Time sped up again… a final call for her flight, so, as we kissed, I began to take photos of the moment, so it would last forever, so that in years to come they would be a reminder to me of what Kylie means to me & that I should never let her leave me again. When we eventually arrived at the departure gate I told Kylie that my heart couldn’t stand watching her leave, that even though I knew everything would work out, I just couldn’t watch. I then grabbed her & squeezed, the tears flowing more than ever and asked her to go… then she was gone. 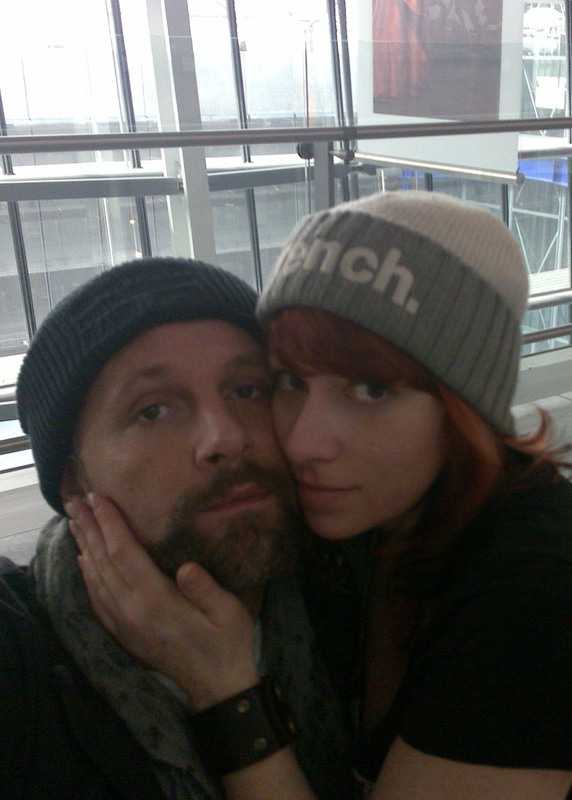 So, as you can imagine, I’m a bit upset, so I grabbed a seat and just stared at the departure gate, wishing that it was 3 weeks ago or 6 weeks in the future & that we were back together again…. then, as if by magic, Kylie Appeared!! YAY (I secretly thought) she’s changed her mind, she is not gonna leave… but no, as romantic a notion it might seem, the reason was good old fashioned terrorist prevention! Even though Kylie had an hour left to board the plane, she was still refused entry past security because at Terminal 5 (which is where we were) they won’t let anyone through with less than an hour to go till boarding! (which was obviously based on their watches not ours!!) So she ran back into my arms and told me that we needed to get her bags back… which at this point were on the plane! Obviously after going through the low of that goodbye, the rush of being back together for another 24 hours was AMAZING… So to celebrate (and after checking in at the same hotel we trashed the night before) we went to a pub by the airport & had fish AND chips! Wow, that was beautiful and yet funny at the same time. God bless our government for once. Glad the extra day was given. Enjoy. So are you a Manchester United fan or a Manchester City Fan?